Fragrance is the key both to great garden design and to the perfect fresh bouquet. 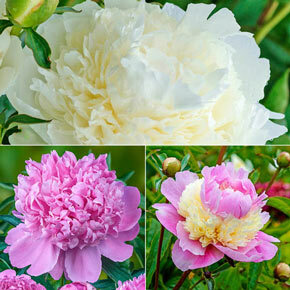 These three varieties are hard to beat for perfume—in fact, Eden's Perfume is said to be the most fragrant peony ever. 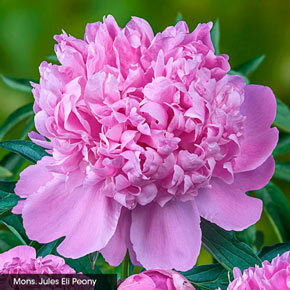 They're as pleasing to the eye as they are to the nose, with full, fluffy flowers in complementary colors. 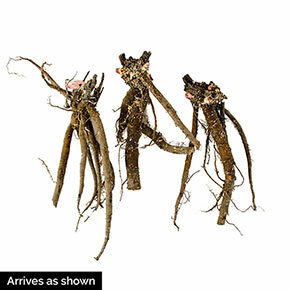 And as luck would have it, all of this excellence comes on an entirely easy–care plant. Once established, it'll last decades without much maintenance. 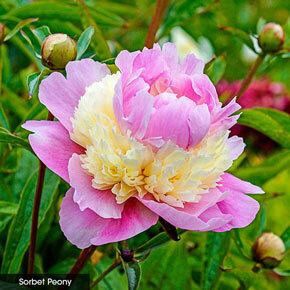 If you're hoping to keep your peonies as cut–flowers for a special occasion, you can cut when the buds are still hard. Wrap the bouquet up in newspaper and store your bouquet in the refrigerator until 24 hours before your event. Then, left in room temperature water, they should bloom beautifully, in time for your guests to enjoy. 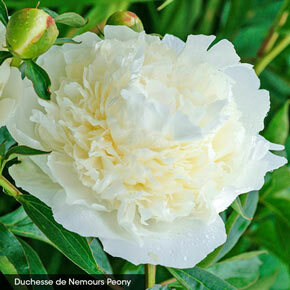 Includes Duchesse de Nemours, Mme Emile Debatene and Eden's Perfume.